Instructions: "Fill in the grid so that every row, every column, and every six-square subsection contains the numbers 1 through 6. 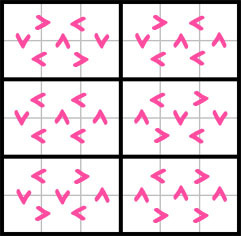 In greater-than Sudoku, each of the greater-than signs indicate the relationship between two neighboring numbers. 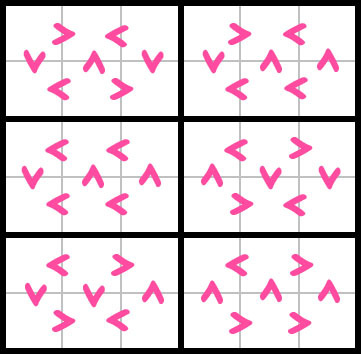 Thus, a solution is only valid if all greater-than signs point from a larger number to a smaller one." There is only one solution to each puzzle. For more information on the original puzzle, visit http://www.sudoku.com/.